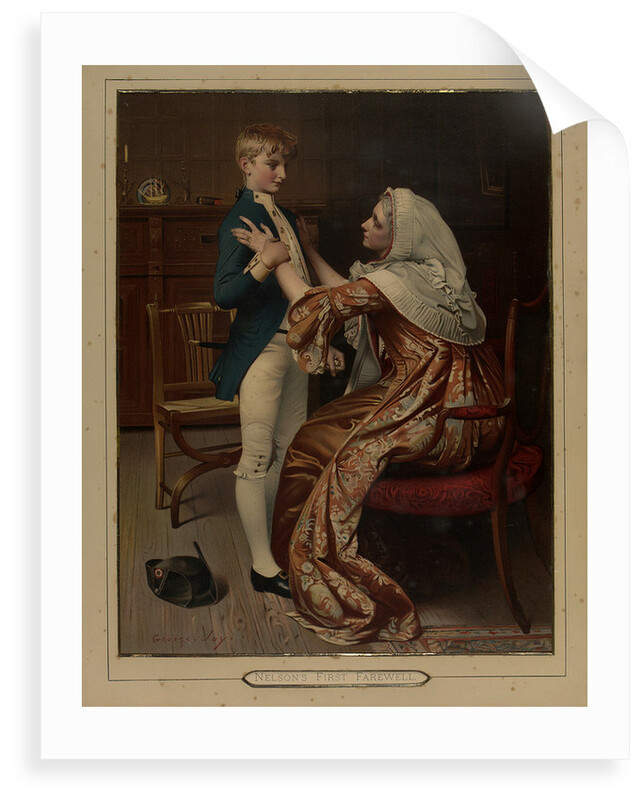 Nelson's farewell to his grandmother from the painting by Joy, exhibited at the Royal Academy in 1883 under the longer title 'Thirty Years ...' etc. It imagines the 13-year-old Nelson - whose mother died when he was nine - dressed in his new midshipman's uniform and saying farewell to his grandmother on his first departure for sea in 1771. The original oil is in the main entrance hall of the Royal Hospital School at Holbrook, Suffolk, where the accompanying label states it is the picture exhibited at the Academy and reproduced in Arthur Mee's 'Children's Encyclopaedia', and that it was presented to the School in February 1958 by the Revd F. Howard Sheldon, Vicar and Rural Dean of Reigate, Surrey. It is a well-painted example of the 'When did you last see your father' school of Victorian fictional history painting but in need of some conservation, if only to the varnish layer (some blooming). Richard Walker (in the first edition of 'The Nelson Portraits') stated that the original by Joy is in South Africa, apparently based on an old record in the NPG. It seems more likely that it may at one time have been in SA, but later returned. However, the possibility that there are two versions has not yet been ruled out. 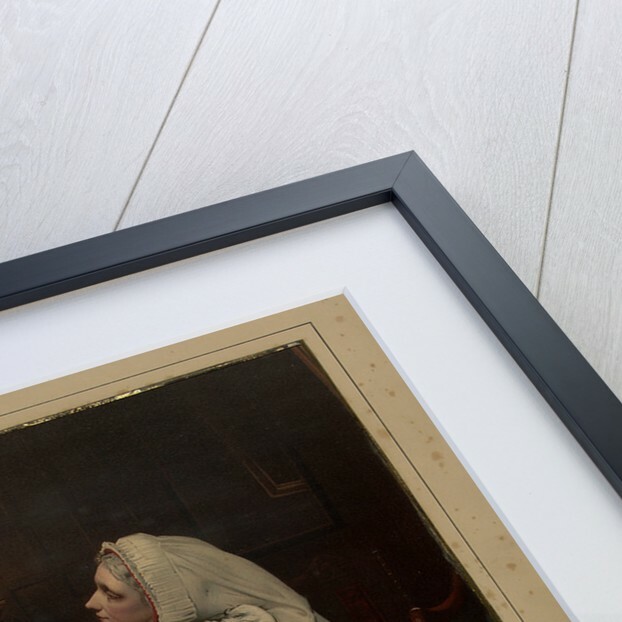 PAI7611 is an engraved 1886 reproduction, signed like this in the image, but also by the artist on the border. More by the artist George William Joy.